Plot: underground warrior sect vows to stop invasion of extraterrestrial demons. 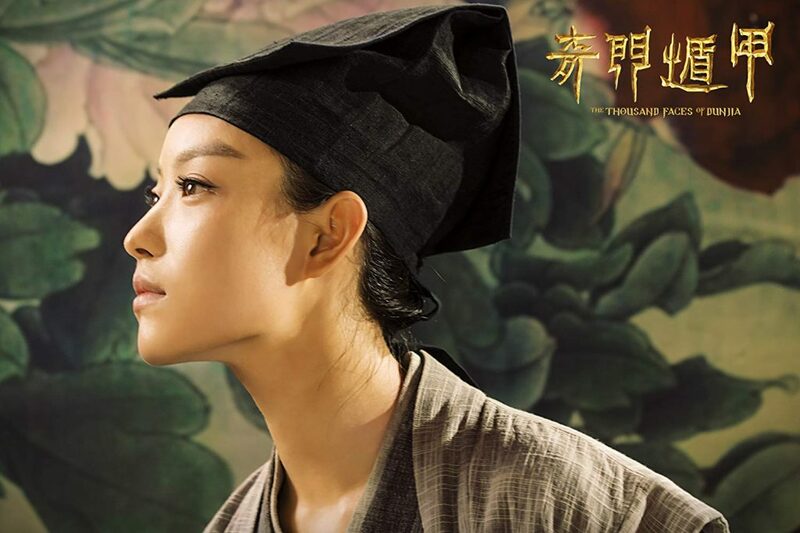 The Thousand Faces Of Dunjia is the long awaited and much overdue collaboration between director/action choreographer Yuen Wo-Ping and producer/writer/director Tsui Hark. 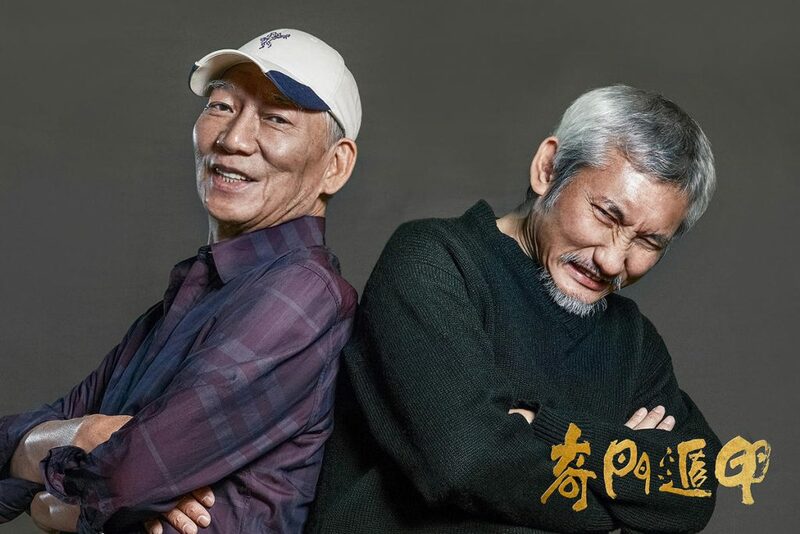 Yuen Wo-Ping and Tsui Hark are veritable Hong Kong legends and this Mainland China feature sees both men combining their strengths to create the ultimate fantasy wuxia event movie. Allegedly a remake of Yuen Wo-Ping’s own The Miracle Fighters (1982) The Thousand Faces Of Dunjia is the first chapter in a grand two-part saga chronicling an epic confrontation between good and evil on the tellurian and the celestial plains. Apparently this was very much supposed to be a Zu: The Warriors from the Magic Mountain (1983) and Legend Of Eight Samurai (1983) for this generation. Unfortunately The Thousand Faces Of Dunjia falls disappointingly, depressingly short of the mark and instead ends up somewhere along the lines of Dragon Chronicles: The Maidens of Heavenly Mountain (1994) and Mural (2011). As producer Hark graced the world with everything from Peking Opera Blues (1986), the A Better Tomorrow (1986-1989), Once Upon a Time in China (1991-1997) and A Chinese Ghost Story (1987-1991) franchises, as well as Dragon Inn (1992), and Green Snake (1993). In capacity as director Yuen Wo-Ping worked with some of the finest martial artists, among them Jackie Chan, Donnie Yen, Brigitte Lin and Michelle Yeoh with a resumé including Drunken Master (1978), Snake in the Eagle's Shadow (1978), Iron Monkey (1993), Fire Dragon (1994), and Wing Chun (1994). As an action choreographer Yuen Wo-Ping is known in the West for his work on Fist of Legend (1994), The Matrix (1999), Crouching Tiger Hidden Dragon (2000) and its amiable sequel Crouching Tiger Hidden Dragon: Sword of Destiny (2016). The Thousand Faces Of Dunjia sees Tsui Hark writing and producing with Yuen Wo-Ping directing. Nominated in three categories (Best Action Film, Best Costume Design, and Best Visual Effects) at the 12th Asian Film Awards and an additional two (Best Action Choreography, and Best Visual Effects) at the 37th Hong Kong Film Awards The Thousand Faces Of Dunjia is shockingly average and falls well short of both Hong Kong veterans' individual and collective legacy. No less than 19 production companies and three visual effects firms were involved in the creation of The Thousand Faces Of Dunjia. Interestingly, at least for those who pay attention to such things, there was no involvement from the Film Bureau who specialize in these kind of endeavours but on a much smaller scale. Probably because Hark’s screenplay somewhat condemns the corruption of ancient Chinese bureaucracy. Not only does The Thousand Faces Of Dunjia frequently ends up looking like a video game, it’s even structured like one as the merry band of spiritual warriors, each with their own superpower, embark on a perilous six chapter journey to save the world from certain doom at the hand of alien invaders. It comes replete with character power-ups, object fetching quests and end of level boss fights. It’s bad enough when Mural (2011), Angel Warriors (2013), and Ghost Story: Bride with the Painted Skin (2016) end up with better visual effects. At this rate even Bollywood has superior special effects with box office hits as Krrish (2006) and Krrish 3 (2013). You know a production is in trouble when Ada Liu Yan’s breasts attract far more attention than the grand heroic tale it’s spinning. In ancient China during the Northern Song Dynasty agile fighter Dao Yichang (Aarif Rahman) travels to the capital of Kaifeng hoping to become the constable. Sent on a mission to intercept non-existing wrong-doers Dao quite accidently happens upon a plot much larger than himself. Chasing a strange-looking villager all through the city and into the local brothel where his goldfish turns into an oversized, three-eyed demon causing pandemonium and chagrin to prostitute Mermaid (Ada Liu Yan). The incident attracts the attention of the secretive Wuyinmen warrior clan. They have long held the prophecy that such an event would herald the coming of their destined leader. The seven Wuyinmen members have inherited the magical skills of Qimen and the Dunjia orb will allow them to repel the alien invasion. Iron Butterfly (Ni Ni) forges an alliance with Dao, which prompts Big Brother (Wu Bai) to seek out the Destroyer Of Worlds device. Meanwhile Wuyinmen doctor and strategist Zhuge Fengyun (Da Peng) happens upon waifish ingénue Circle (Zhou Dong-Yu), who's not only an amnesiac but bears the wrist markings of the prophesied Wuyinmen messiah, in a catacomb. That the fragile and slender stray also is a demonic shape-shifting monstrosity is something only Tsui Hark could come up with. With time rapidly ticking away Iron Butterfly and her brothers engage in a desperate effort to safe the world from a ferocious alien force that threatens to destroy it. If nothing of the above comes across as your typical Tsui Hark fantastical adventure then you’re absolutely right. An everyman chases what turns out to be an alien lifeform and happens upon an impending invasion while being initiated into a top-secret organization (that civilians are blissfully unaware of even exists) and they need a certain object of great importance and magnificent power to stop said invasion from destroying all life on Earth? The Thousand Faces Of Dunjia, should there really be any doubt it is, the Chinese equivalent of Barry Sonnenfeld’s Men In Black (1997). Aarif Rahman does his best Will Smith impression, Ni Ni is Tommy Lee Jones complete with snark and cynicism, and Da Peng is Rip Torn. At various points Ada Liu Yan and Zhou Dong-Yu stand in for Linda Fiorentino. It’s depressing to see Hark imitating Hollywood, especially in light of how he once was an innovator. Only the messiah prophecy is somewhat redolent of David Lynch’s Dune (1984) but that’s the extent to which Hark deviates from the Men In Black (1997) model. For Chinese audiences the story might have been something else with its daring mix of comedy, Chinese folklore, science fiction and a decidedly Western idea of a plot. For Western audiences The Thousand Faces Of Dunjia riffs on Men In Black (1997) just a bit too close for comfort. It has neither the charm nor the goofy comedy from the Barry Sonnenfeld original. Slapstick humor has long been a boon to the work of Tsui Hark, but here it’s definitely more of a bane. At least the story is reminiscent of both Zu: The Warriors from the Magic Mountain (1983) and Legend Of Eight Samurai (1983) but there’s where the good news ends. The Thousand Faces Of Dunjia is frustratingly episodic and builds towards a climax that never really comes. It’s so busy setting up the inevitable sequel that it frequently forgets that it’s supposed to tell its own story for that sequel to make any sense. Somewhere in the early 2000s Mainland China features started to resemble 2 hour trailers more than actual movies and The Thousand Faces Of Dunjia is no different. Tsui Hark’s masterful eye for composition and use of color is painfully absent and the acrobatic action choreography from Yuen Cheung-yan and Yuen Shun-yi isn’t enough to save The Thousand Faces Of Dunjia from prematurely collapsing in on itself. As a greatest hits of sorts there are clumsy constables and well-meaning Confucian scholars, brave sword(wo)men, gravity-defying physics and plenty of beautiful women, prostitutes and otherwise, who are either chaste or promiscuous and always prefer a few slaps across the face as a form of foreplay. Most of the men are bumbling idiots constantly dangling for threesomes with girls who might, or might not, be monsters. Granted everything’s beautifully photograped by Choi Sung-Fai but it never congeals into the Chinese The Fellowship of the Ring (2001) that it probably was meant to be. Perhaps the worst of all is that The Thousand Faces Of Dunjia never becomes more than a sum of its parts. At its best it harnesses the mad kinetic energy of We’re Going to Eat You (1980) but those moments are far and few. 34 years after Zu: The Warriors from the Magic Mountain (1983) you’d imagine Tsui Hark having the fantasy wuxia down to a science. If The Thousand Faces Of Dunjia was meant to rejuvenate and redefine the fantasy period costume genre then it’s perhaps time to look to at the small screen where series as Ice Fantasy (2016) and Secret Healer (2016) do the same thing to much greater effect on a comperatively smaller budget. Ni Ni is overflowing with talent even though the shadow of Joey Wong, Brigitte Lin, and Maggie Cheung looms large over her. Xie Miao was in God Of Gamblers Return (1994) and it’s always good seeing him in another high-profile production. Ada Liu Yan was in Painted Skin (2008) and Mural (2011) and her star is definitely on the rise. Yan is well underway eclipsing Mavis Pan Shuang-Shuang, Frieda Hu Meng-Yuan, Wu Jing-Yi and Yang Ke in terms of bankability. Arguably Tsui Hark has seen better days and his new obsession with digital effects might very well spell the end of practical effects in his movies from here on out. Yuen Wo-Ping on the other hand helms The Thousand Faces Of Dunjia with all the finesse and professionalism you’d expect from an esteemed veteran of his caliber. Critical – and fan reception was mixed to negative and for once they were spot on. It’s sad to see Tsui Hark, the Steven Spielberg from Asia, undertake such an ambitious project and have it fail so unbelievably spectacularly due to a hamfisted screenplay and some of the most unconvincing digital - and visual effects this side of a bad PlayStation 3 game. That the man who innovated Asian cinema time and again (by taking old folklore stories and reinventing them as action-filled special effects extravaganzas) in the past three decades now finds himself a follower instead of a leader of contemporary cinematic trends is depressing enough. If, and when, the proposed second chapter of The Thousand Faces Of Dunjia does arrive we can only hope that Tsui Hark will be able to properly amaze us with his enchanting vistas of mythical figures engaged in epic battle once again. There’s no shortage of the fantastical element in The Thousand Faces Of Dunjia, if only the human element was half as interesting as it ought to be. There is a time and place to admire Ada Liu Yan, but we have an inkling suspicion that The Thousand Faces Of Dunjia was not supposed to be it. After his New Wave period – encompassing the three features The Butterfly Murders (1979), We’re Going to Eat You (1980), and Dangerous Encounter of the First Kind (1980) – director/producer Tsui Hark started working for Cinema City Company and Golden Harvest, the company founded by Shaw Brothers exile Raymond Chow. Zu: The Warriors from the Magic Mountain (1983) - produced by Paragon Films for Golden Harvest - revolutioned the way special effects were used in the fantasy wuxia genre and established Tsui Hark as both a visionary and innovator. In fact the sheer number and complexity of the effects were unprecedented in Hong Kong cinema at the time. Derived from stories of mythology and antiquity and with an all-star cast of established and new talent Zu: The Warriors from the Magic Mountain was nominated 5 times at the 3rd Hong Kong Film Awards (Best Action Choreography - Corey Yuen, Best Actress - Brigitte Lin, Best Art Direction - William Chang, Best Film Editing - Peter Cheung and Best Picture) and set Tsui Hark on course in becoming ‘the Steven Spielberg of Asia’. 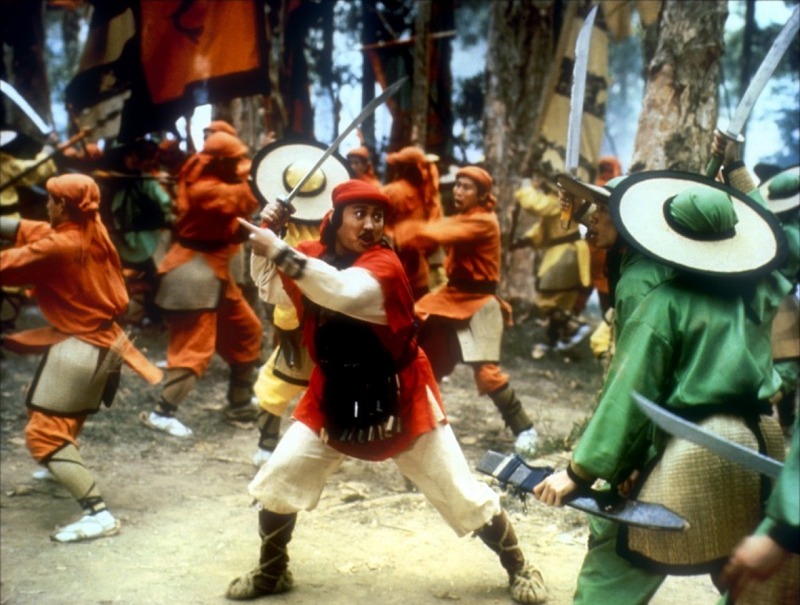 Zu: The Warriors from the Magic Mountain is probably the single most important movie in the early Tsui Hark canon. It was the transitional title in his evolution from low-budget (and largely commercially unsuccesfull) cinematographer to being the master of big-budget fantasy – and period costume wuxia. For the production of Zu: The Warriors from the Magic Mountain Hark founded Film Workshop and Cinefex and brought in Western special effects artisans to help him create 'the ultimate Chinese mythological spectacular'. Zu: The Warriors from the Magic Mountain was adapted from Lee Sau-Man’s 64 volume novel, “The Legend of the Zu Mountain Warriors,” and manages to squeeze 50 volumes into a nearly two-hour epic. Among the cast are Yuen Biao, Sammo Hung Kam-Bo, Norman Chu Siu-Keung, Corey Yuen Kwai as well as Brigitte Lin, Moon Lee, and Judy Ongg. Widely regarded as the Hong Kong equivalent to George Lucas’ Star Wars (1977) it made a staggering 15 million HK dollars at the box office and set the stage for Tsui Hark to helm even more ambitious projects. Art director William Chang would later become a key collaborator with director Wong Kar-Wai. Di Ming Qi (Yuen Biao) is a Western Army scout during the Tang Dynasty. He is tired of the near-constant state of war the country is in. Chased from the battlefield for simultaneously obeying and disobeying direct orders from two different generals;. he runs into an equally disillusioned Eastern Army soldier (Sammo Hung Kam-Bo) and the two agree on the absurdity of the conflict and the futility of the concept of war. The two bond over the fact that they are indeed neighbors and pretend to be killed in order to escape the chaos and bloodshed. After making their escape from an invading faction Di Ming Qi falls into a crevasse and a thunderstorm forces him to retreat into a nearby cave to seek shelter and relative safety. The cave is part of the Zu mountainrange, in the Bazu region of Western China, a place of great strategic importance in times of war – and home to fabled antediluvian legends and primordial arcane mysteries. Without realizing it Di Ming Qi will soon find himself engaging in an epic battle for survival between the dominating forces of the terrestrial and the ethereal. In the bowels of Zu, the Magic Mountain Di Ming Qi is beset by supernatural horrors until Ding Yin (Adam Cheng) comes to his rescue. Di Ming Qi vows to become Ding Yin’s pupil in order to pay his lifedebt. The two are attacked by the Blood Devil, a supreme evil manifesting itself as animated red cloths, that has been held at bay for the past century by powerful but aging monk Chang Mei, or Long Brows (Sammo Hung Kam-Bo). The Blood Devil feeds itself with the skulls of young boys and despite Chang Mei’s valiant attempts to contain it, he will only be able to hold off the Blood Devil for 49 more days before he too becomes corrupted by the demon’s malignant powers. They find allies in Xiao Ru (Damien Lau) and Yi Zhen (Mang Hoi), or Wisdom and Innocence as international translations call them, a master and pupil from Kunlun. Chang Mei instructs them to find the Celestial Swords to defeat the ancient hatred. They must seek Lei Yikkei, the current keeper of the Twin Swords of Earth and Sky, who according to legend meditated and practiced in a Tin-Ngoi-Tin cave. The four first face off against the Evil Cult, led by the Devil Disciple (Hark-On Fung), in the Sek-Lam temple. In the skirmish Xiao Ru is injured and the cure can only be found at Yiu-Chi-Sin fortress. Before arriving at the fortification the group witnesses The Red Witch, a sorceress of unexplained origin. At the Celestial Fortress the fellowship is beset by a legion of female warriors under command of Mu Sang (Lee Choi-Fong, as Moon Lee). Lady Li I-Chi (Ha Kwong-Li) explains that they don’t take kind to the unannounced intrusion. Their pleads for help fall on deaf ears and Lady Li I-Chi exposits that the “immortal ice flame of the fort” signals the arrival of the Countess Of Jade Pond (Brigitte Lin). Ding Yin uses his magic to artificially keep the flame burning forcing the Countess to grant them a visitation. To their dismay the Countess is the same red-clad sorceress they met earlier, and the group understandably attacks her. Di Ming Qi is injured during the altercation and is healed by Ding Yin. The Countess Of Jade Pond reluctantly agrees to heal the wounded Xiao Ru. The process takes its toll on the Countess leading her to faint. Ding Yin hurries to her rescue, embarassing her while at it, but the two come to like each other. Ding Yin hands Di Ming Qi a sword but the latter soon finds out that the sword has been poisoned by the Red Witch. Di Ming Qi realizes that he’s bound to fall victim to the same possession Xiao Ru was just cured of. The Countess wants to help, but is too exhausted from the previous healing session. Ding Yin asks that she kill him, a request that draws her ire and soon the two factions are engaged in a battle that eventually leaves the Celestial Fortress encased in ice. Di Ming Qi, Yi Zhen, and head guard Mu Sang somehow are able to escape the frozen onslaught. 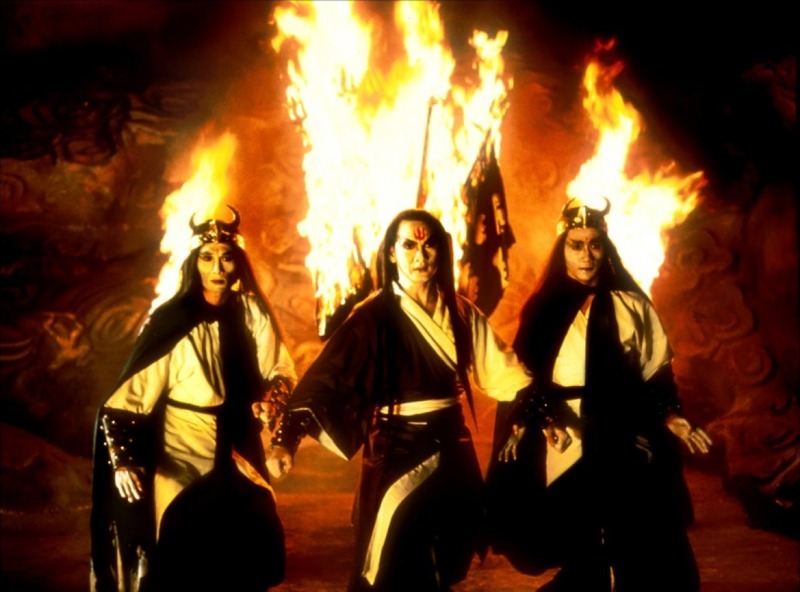 The three continue their journey and eventually run into Tin Dou (Norman Chu Siu-Keung), who international versions refer to as Heaven’s Blade, who has kept the unholy forces of evil at bay for over a century somewhere at the border between heaven and hell. Ding Yin, now completely overtaken by evil, appears but Di Ming Qi courageously battles him with one of his own swords until they are sucked into the lungs of hell. Tin Dou sacrifices himself to allow the duo to escape. 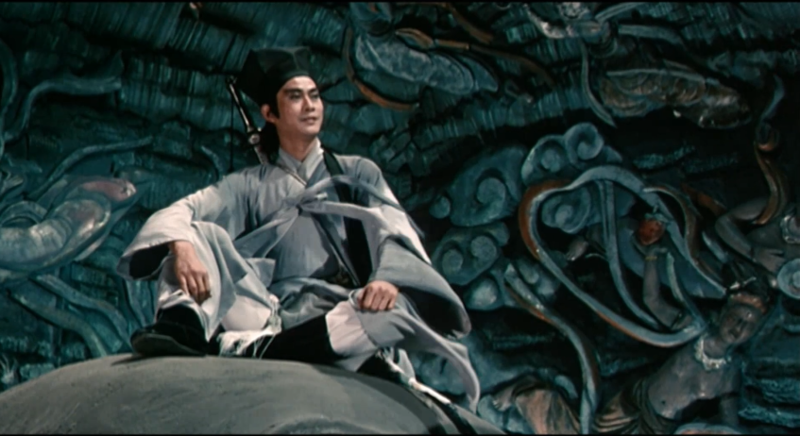 Once they have regained their composure they notice two swords – green and purple – overhead and soon they find Lei Yikkei (Judy Ongg, as Weng Qian-Yu) on a nearby peak. Lei Yikkei informs them that time is running out and that they have to be united, in spirit and heart, in order to wield the Twin Swords of Earth and Sky. Lei Yikkei joins the unification existing within the two combined warriors. While all of this is transpiring the Countess Of Jade Pond meets the quarrelling Western and Eastern armies, but their common greater enemy leads them to working together. Once again the demonic Ding Yin appears, but with the last of her sorcery the Countess is able to defeat the monk. Just as the Blood Devil is to be unleashed, the Dual Swords are combined and the ancient hatred is defeated. Now having acquired near god-like powers the youths dedicate themselves to uniting the people of earth. 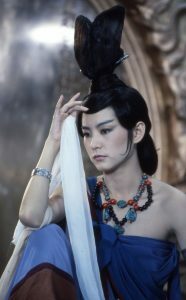 Taiwanese actress Brigitte Lin came from the Golden Harvest stable and was an experienced veteran from over 100 movies. Lin was a staple in Taiwanese dramas and romance, but towards the late 1970s veered towards historical drama, war, and action productions, before becoming a pillar in period costume wuxia in the eighties and nineties. Lin was a frequent collaborator with director Chu Yin-Ping in her earlier days and Zu: The Warriors from the Magic Mountain marked her reinvention under Tsui Hark. Lin scored her first role of note with the modest The Ghost Of the Mirror (1974), a loose adaption of Pu-Sing Ling’s Strange Stories from a Chinese Studio that Hark himself would adapt a few years later as A Chinese Ghost Story (1987). Lin initially found fame with cross-dressing roles in The Dream Of the Red Chamber (1978) and Peking Opera Blues (1986). She was a multiple Taiwan Golden Horse Award nominee but didn’t win one such award until Red Dust (1990). The award led to a second peak in her career with the likes of Dragon Gate Inn (1992) and Swordman II (1992). 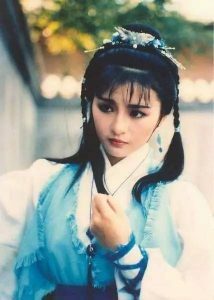 Lin would be put in a white wig in the fantasy wuxia The Bride with White Hair (1993), in both the original and its sequel as well as in the disastrous and widely derided Louis Cha adaptation Dragon Chronicles – The Maidens of Heavenly Mountain (1994). Before becoming a regular in the Girls with Guns HK action genre Moon Lee scored her first role of note as Mu Sang, high guard of the Countess Of Jade Pond in Zu: The Warriors from the Magic Mountain. In the following years Lee established herself as one of Hong Kong’s most elegant low-budget action stars by appearing in Teresa Woo San’s Girls with Guns archetype Angel (1987) alongside Yukari Oshima and Elaine Liu. For the next 6 years Lee would star in over 25 different action productions, including Princess Madam (1989), Devil Hunters (1989), Mission of Condor (1991), Mission of Justice (1992) and Kickboxer's Tears (1992). By 1993 the Girls with Guns genre was all but spent with budgets dwindling even further and productions relocating to the Philippines, Lee bade the acting profession farewell. 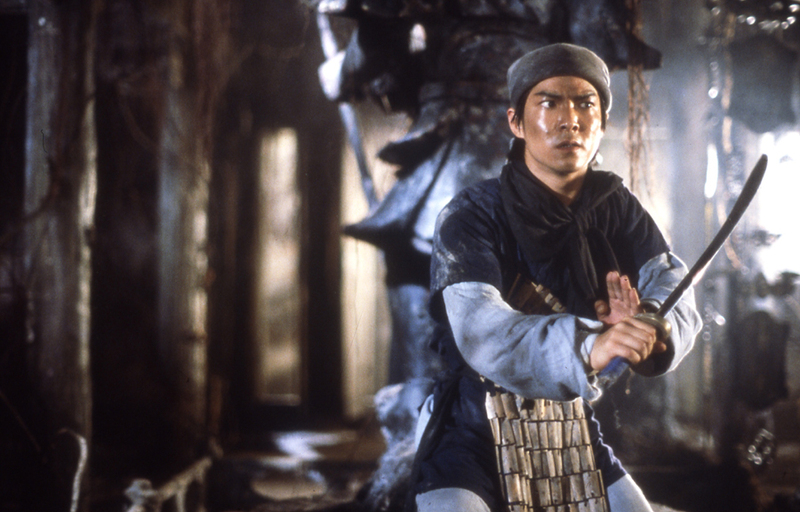 Norman Chu was a Shaw Bros veteran who played a variety of roles in offerings as diverse as The Flying Guillotine (1975), The Mighty Peking Man (1977), The 36th Chamber of Shaolin (1978), Duel to the Death (1983), Sea Wolves (1991). Chu was a regular in Louis Cha adaptations appearing in The Battle Wizard (1977), Demi-Gods and Semi-Devils (1982) as well as Dragon Chronicles – The Maidens of Heavenly Mountain (1994). Zu: The Warriors from the Magic Mountain is a milestone in Hong Kong cinema for all the right reasons. It’s a nearly two-hour, special effects tour de force of wondrously grand proportions that sets a bunch of beautiful young people on a perilous epic quest to defeat an ancient evil. It’s a veritable high point of Hong Kong cinema that shouldn’t be missed by anyone with an interest in cinema, Asian or otherwise. 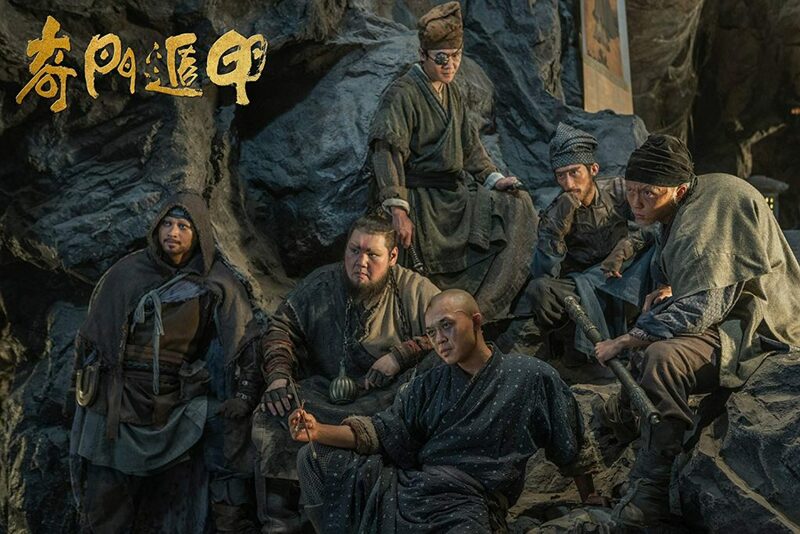 With a cast including Yuen Biao, Adam Cheng, Damian Lau, Sammo Hung, Corey Yuen, Brigitte Lin, Moon Lee and Judy Ongg Zu: The Warriors from the Magic Mountain is a gathering of current and soon-to-be HK superstars and a young director with talent to spare. No wonder Tsui Hark went on to become one of the most revered Asian directors. Zu: The Warriors from the Magic Mountain brims with energy and is a visual spectacle to behold. Just four years later Hark would force his international breakthrough with the ghost romance A Chinese Ghost Story (1987) with Leslie Cheung and Joey Wong. If anything, Zu: The Warriors from the Magic Mountain very much sets the stage for that.